CANBERRA - Auto Italia Canberra 2014 @ Old Parliament House - Held on 30 March 2014, the Auto Italia Canberra was a huge success. 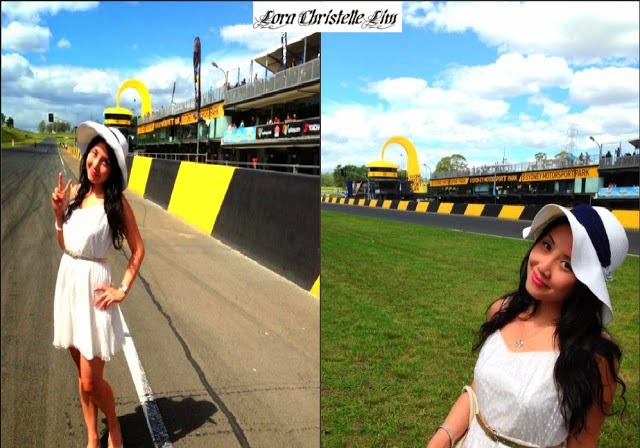 Presented by the Italian Cars Association (ICA), the one day event which featured a huge and spectacular display of Italian cars attracted a large crowd of more than 12,000 car enthusiasts. The event is a celebration of the sheer love and admiration of beautiful Italian cars, bikes and scooters as every vehicle has its own story to tell. Participants were encouraged to arrive early in the morning before 930am to position their car before doors open to public at 10am. 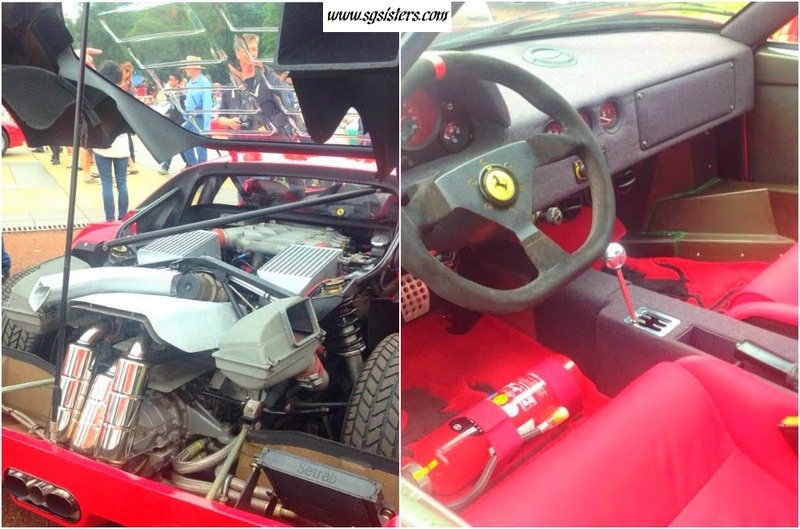 Ferrari F40 - I was so excited to attend the event and I arrived on scene at 1030am. 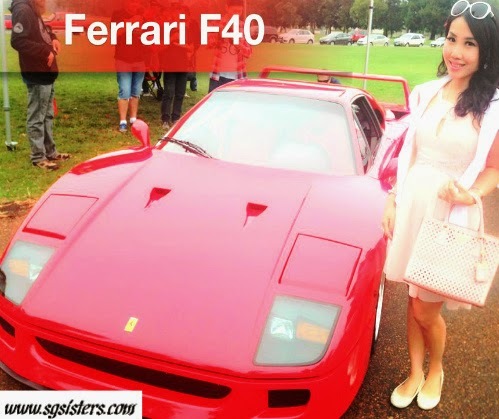 The hottest vehicle displayed was the rare Ferrari F40 which costs approximately AUD$1.2 million. 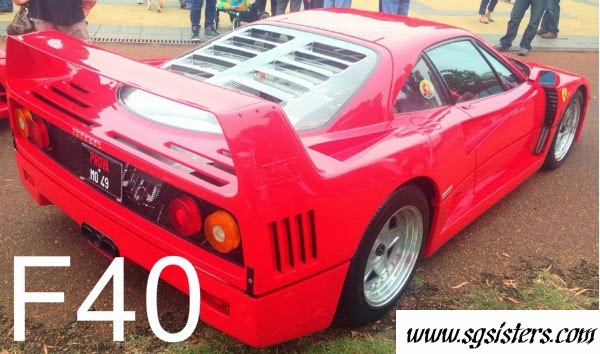 The Ferrari F40 was designed to celebrate Ferrari's 40th Anniversary and it was the last car personally approved by Enzo Ferrari the man himself. In Top Gear, Jeremy Clarkson and Richard Hammond referred the F40 as the "greatest super car that the world had ever seen". Jeremy Clarkson also said that the F40 was one of the most beautiful cars ever made in history. With a top speed of 324 km/h and a quick acceleration speed of 0-100 km/h in 3.8 seconds, the F40 is a brilliant and remarkable V8 engine car that never fails to mesmerize car enthusiasts with its sheer performance. It is also the first road legal car to ever break the 320 km/h barrier. The F40 became a legend after Enzo Ferrari died in 1988, making it the last car produced under his watch. 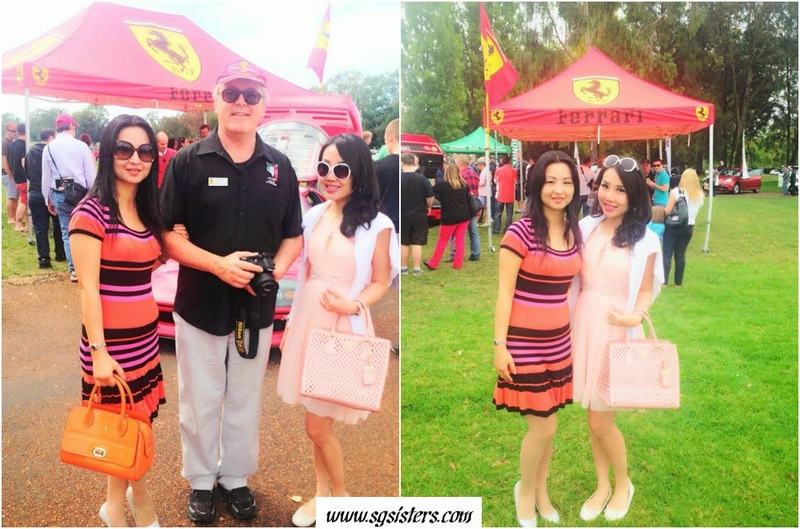 Ferrari Club Australia - It was lovely to see Grahame who is the President of the Ferrari Club NSW and Grace from the Ferrari Club. 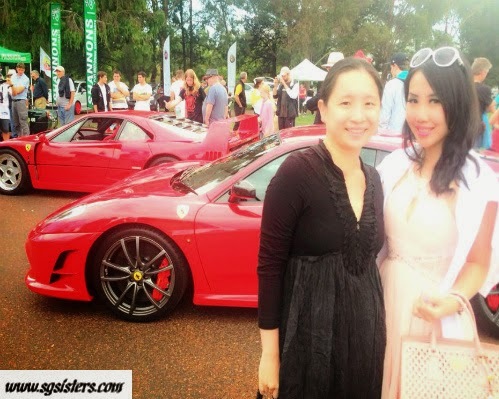 Miss attending all the Ferrari Club events as I've been busy lately. 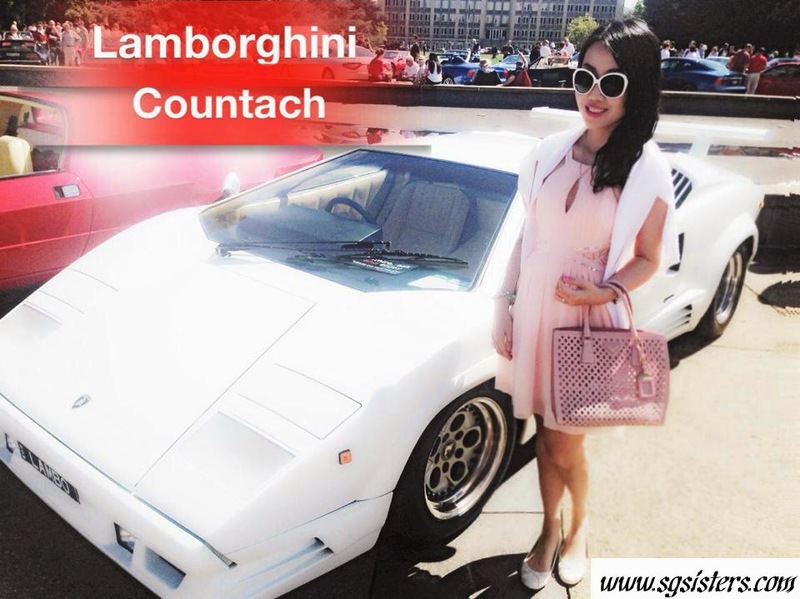 Lamborghini Countach - The Countach is a legendary masterpiece specially designed by Marcello Gandini who also famously designed the Miura to leave spectators in awe. The Countach was the first Lamborghini car which featured the "Scissors Doors" which later became a Lamborghini trademark. Equipped with a traditional Lamborghini V12 engine, the Countach is a distinctive car with impressive styling and visual impression that is extremely strong but very light. It can reach 0-100 km/h in less than 5 seconds and has a top speed of 300 km/h. The Countach uses aircraft grade aluminum with a fiberglass underbody tray and only weighs approximately 1,400kg. 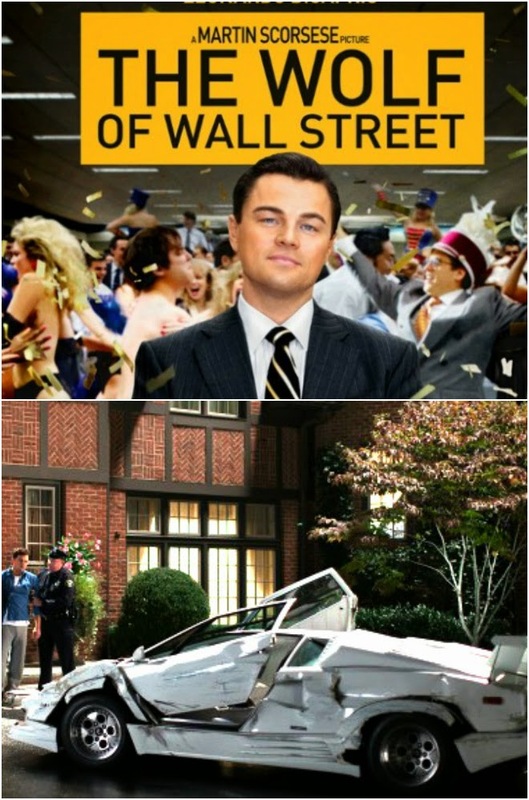 In the movie "The Wolf of Wall Street", a real gorgeous Pearl White color 25th Anniversary Lamborghini Countach was featured and crashed by Hollywood actor Leonardo DiCaprio. Unfortunately, it was not a replica but a genuine Lamborghini Countach. After all, it was a movie about excessive and exorbitant wealth. Leonardo DiCaprio really deserves an Oscar for his brilliant act! 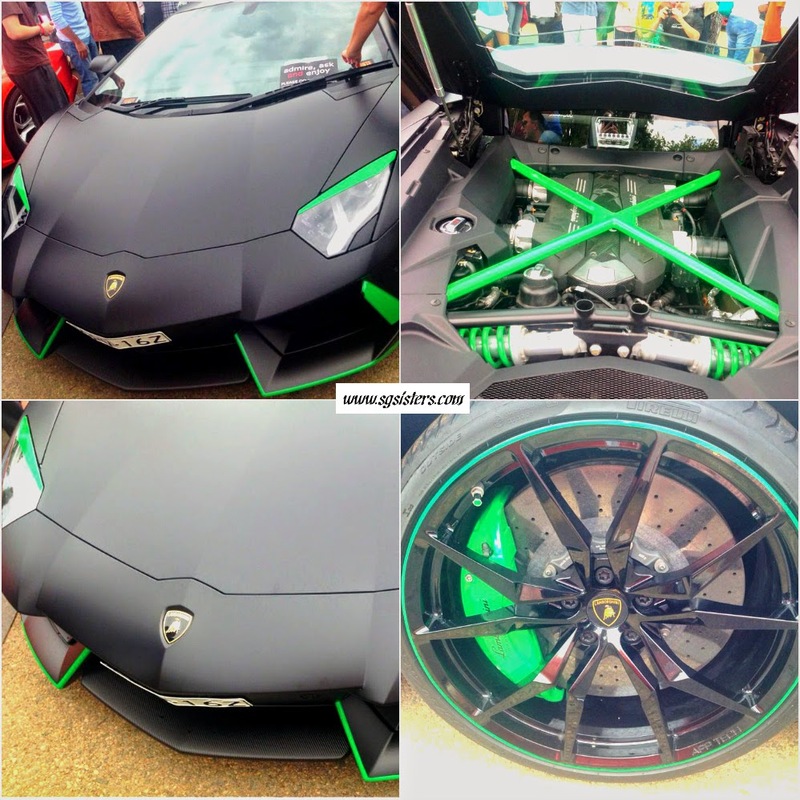 Lamborghini Aventador - The winner of the best Lamborghini was this cool-looking Matt Black Lamborghini with Green highlights who arrived late and made a grand entrance by revving the engines loudly and attracting a huge crowd. 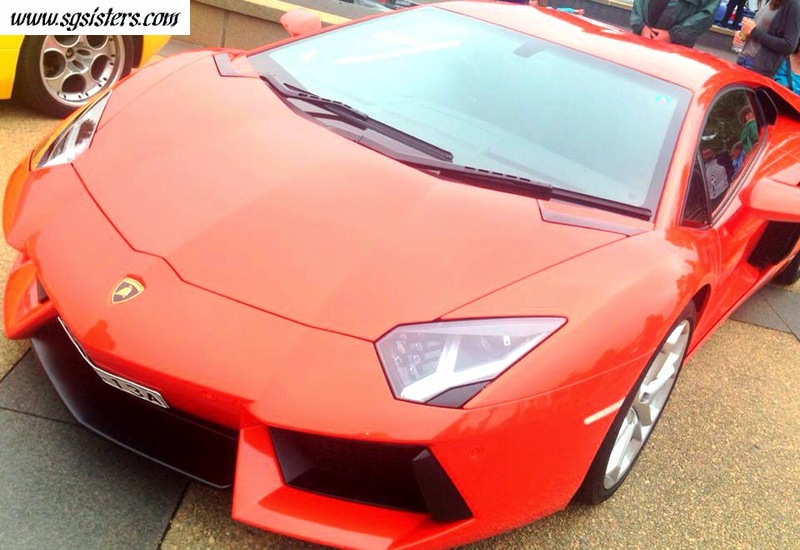 My friend Peter who owns this Monster Lamborghini is a humble and loving family man. 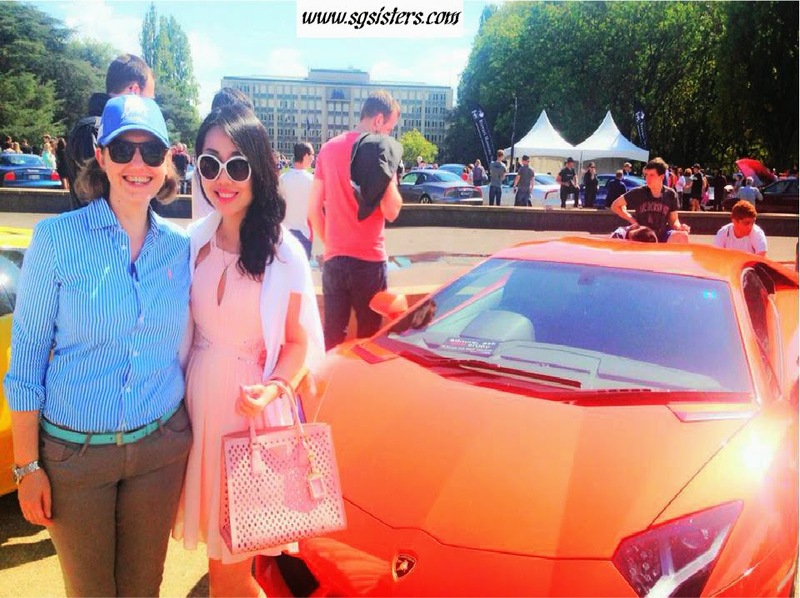 It is great making friends with fellow car enthusiasts and we have arranged to go for regular drives together in our Lamborghinis on weekends. 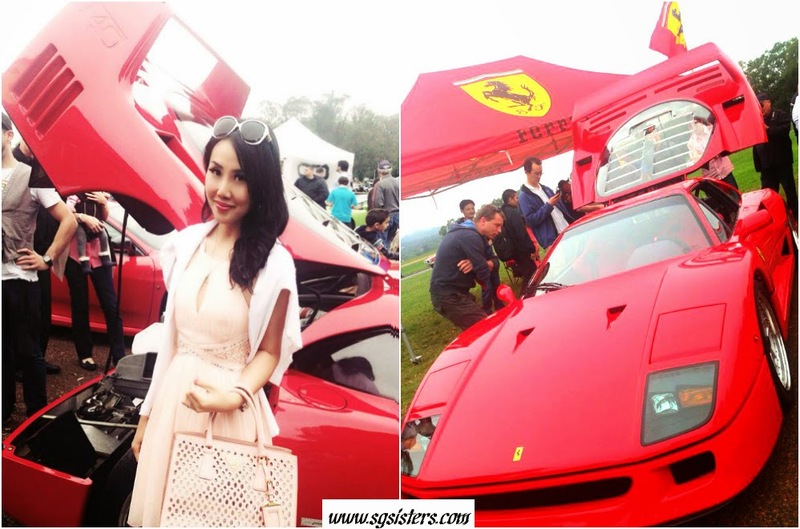 Surprisingly, most Lamborghini and Ferrari Car Owners are respectable family man who bring their wives, little children and babies along for this car festival :) Talk about dedication and devotion! Many baby prams were spotted at this event. 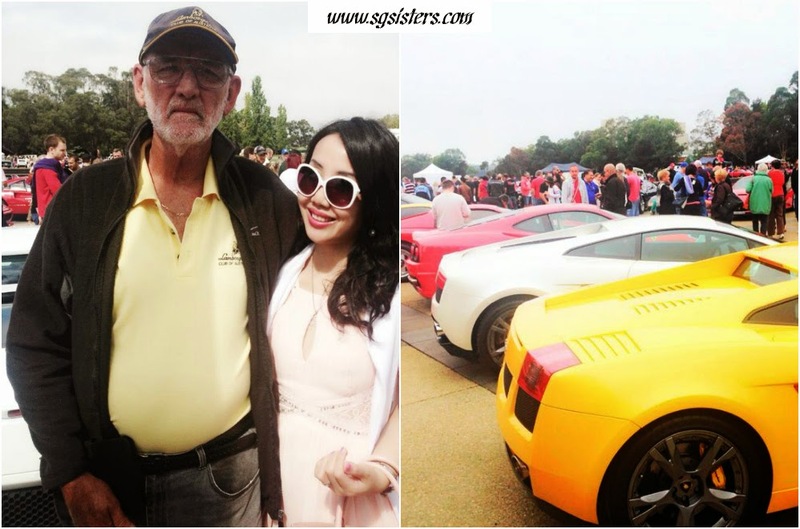 Lamborghini Club - I also met the President of the Lamborghini Club - Mr John Edwards who informed me about his various ideas to plan more exciting events in the near future. 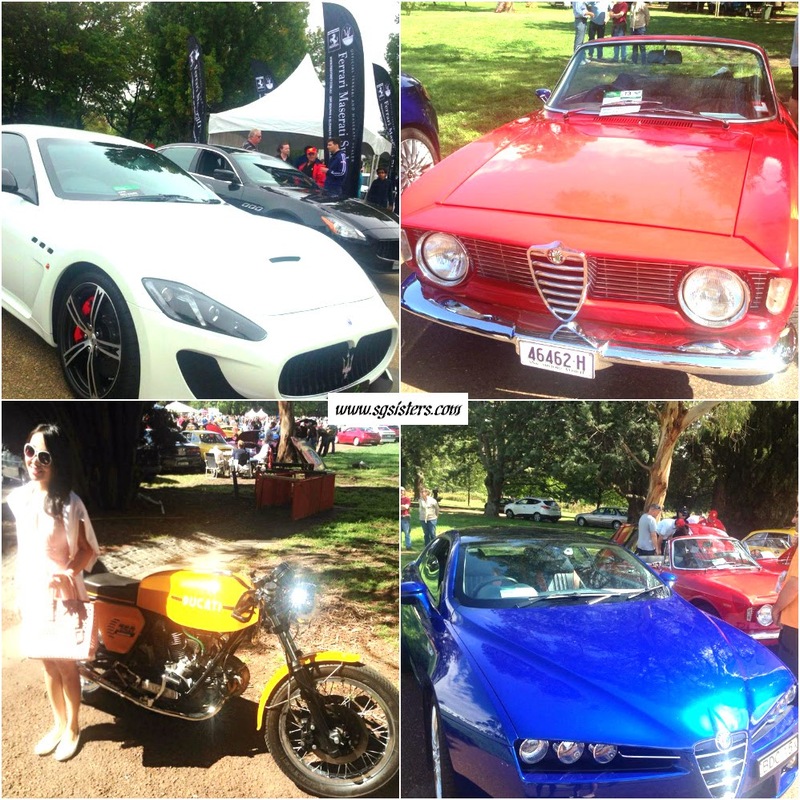 Other vehicles displayed at the event include Maserati, Alpha Romeo, Fiat, Ducati etc. I also met my girlfriend Connie who lives in Canberra and we went for lunch together after the event. 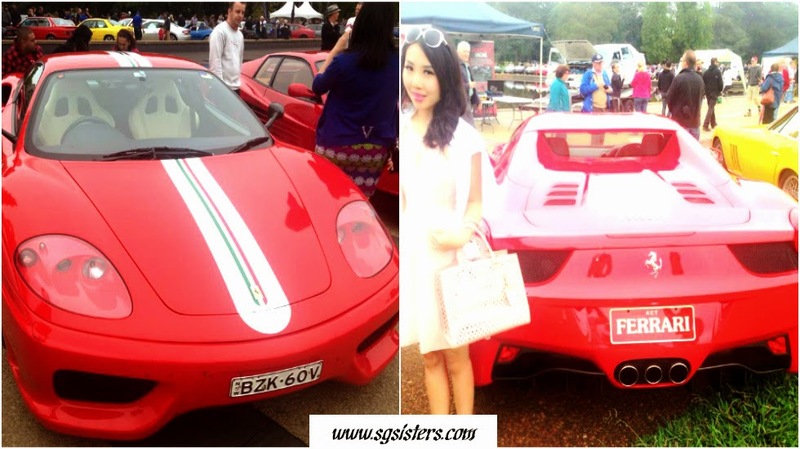 Auto Italia Canberra is an annual event highly recommended for car enthusiasts to gather and marvel over beautiful Italian vehicles and I look forward to attending the 30th event in 2015. More info can be found at http://www.autoitaliacanberra.com/ see you guys there!